I’m pleased to announce that Charles Giuliani has extended the opportunity to guest host his radio program, Truth Hertz, on January 1, 2013. Truth Hertz airs every Monday to Friday from 8 to 10 AM Eastern on Oracle Broadcasting. I’m planning an unconventional show compared to my Exposing Faux Capitalism broadcasts, but very much up the alley of Charles Giuliani’s regular shows. The current system of government is beneficial and profitable for the Zionist handlers of Coast to Coast AM, since it serves their militaristic, pro-Zionist, pro-debt-slavery agenda. From the August 1, 2012 episode of Truth Hertz with Charles Giuliani, Ed Chiarini claims that the late Father Coughlin was really Kermit Roosevelt (at 1h 41m), and that Deanna Spingola is really Saturday Night Live star, Victoria Jackson. Deanna/Victoria calls in to challenge him (at 1 h 47m), and he demands she show him her ears to prove she’s not Victoria Jackson. Can Austrian School economist Gary North spot the real Victoria Jackson? He was on two episodes of the Politichicks with her. Dr. Rebecca Carley, who was on the Alex Jones Show in March of 2009, won’t be on the show again, and it became evident why from her July 3, 2012 appearance on Truth Hertz with Charles Giuliani. “You have to admit, it’s pretty ingenious how they installed him. One thing I always tell people is that, you know, you don’t become a multimillionaire by speaking the truth — it doesn’t happen — so that’s the first red flag. I also wondered what the problem Alex Jones had with discussing Jewish individuals, and I found out why, as I wrote about in my article, An absolutely damning clip of Alex Jones on Zionist Jews versus Mexicans. For another example of a Jewish double standard, see my article, Google’s Web search double standard. 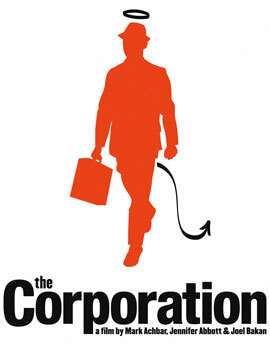 Dennis Marker, author of Fifteen Steps to Corporate Feudalism: How the Rich Convinced America’s Middle Class to Eliminate Itself, is scheduled to be my guest on the July 15, 2012 episode of Exposing Faux Capitalism with Jason Erb on Oracle Broadcasting, from 1 to 3 PM Eastern. I first heard of Dennis’ book from his June 29, 2012 interview on Charles Giuliani’s Truth Hertz show (starting in the second hour), and want to specifically delve into his research into the scam of global free trade.